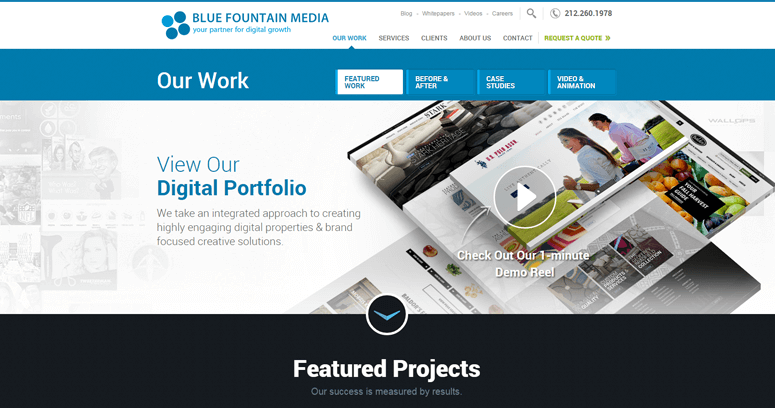 Blue Fountain Media is a web design firm that has brought together talented individuals to fulfill branding, website design, website development, and marketing needs for both new and established companies. Populated by experts who each have their own specializations, they pride themselves on the seamless teamwork needed to give the customer what they need to make their brand memorable and their business successful. 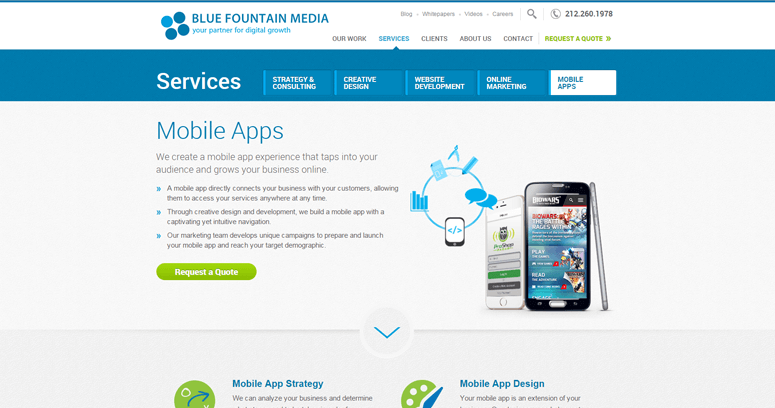 Blue Fountain Media provides services such as logo design, creation of mobile applications, search engine optimization, and social media and print marketing. 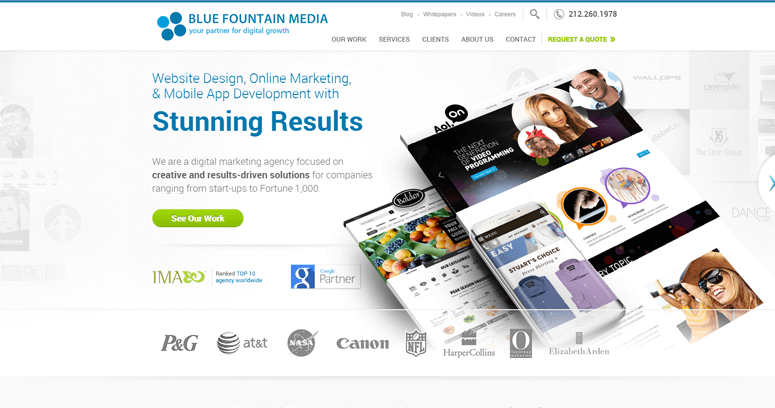 Their marketing strategies and business consultations along with their eye for stunning design in multimedia categories encourages continuous website traffic and business growth.